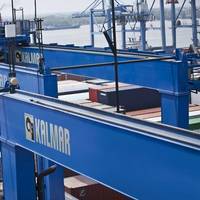 Kalmar, the provider of eco-efficient cargo handling equipment and automated terminal solutions, , has signed a deal to supply six Kalmar Zero Emission Rubber-tired Gantry cranes (RTGs) to South Florida Container Terminal, LLC.The cranes will be equipped with a busbar energy system and operator assist features like auto steering and container stack profiling, said a press statement from Kalmar, part of Cargotec.The order was booked in Cargotec's 2019 Q1 order intake with delivery scheduled to be completed in early 2020. 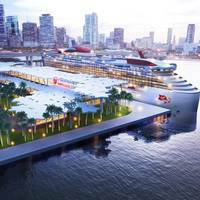 Virgin Voyages, formerly Virgin Cruises, has unveiled its plans for a new terminal at PortMiami.Sir Richard Branson's cruise line said in a press release that the new Virgin Voyages Terminal will be located on the northwest side of the port in Miami, giving it incredible views of the city’s skyline. Construction is due to start next year and will be completed by November 2021, the beginning of the year’s cruise season.“Miami is an incredible city and one of my favourite places to work and play,” Richard Branson said. 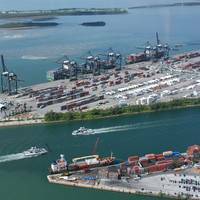 An agreement between two marine terminal companies located at the Port of Miami will go into force on December 31, 2016, permitting those parties to seek cooperation and commonality in both business and operating matters. 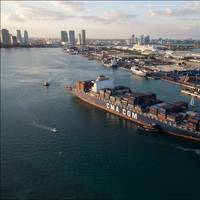 The U.S. Federal Maritime Commission (FMC) voted Thursday not to prevent the Miami Marine Terminal Conference Agreement from taking effect. 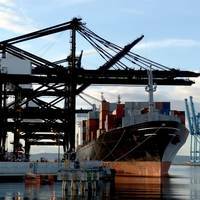 The South Florida Container Terminal and the Port of Miami Terminal Operating Company filed the agreement on November 16, 2016. Spend dollars up on dredging, cubic yards moved down. 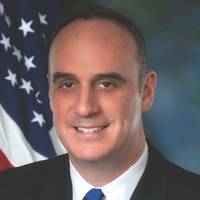 Combined with a reduction in the USACE federal budget, the situation threatens a perfect storm for domestic requirements. 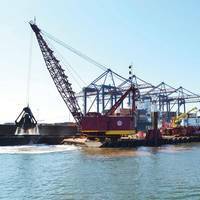 U.S. dredging this decade, measured in cubic yards, is only half as active as it was in the early 1960s, with maintenance down slightly since then and new work off considerably, according to the U.S. Army Corps of Engineers or USACE. The nation’s spending on dredging in unadjusted dollars has swelled tenfold since the 1960’s, however. 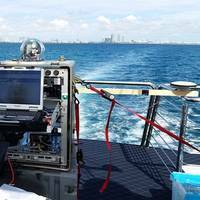 L-3 Marine Systems International (L-3 MSI) has announced that it has supplied its NACOS Platinum series aboard Norwegian Cruise Line’s new 324-meter, 145,500-gross ton cruise liner, Norwegian Getaway. 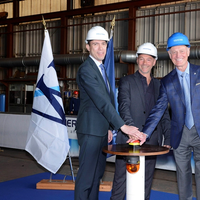 Built by Meyer Werft at its Papenburg shipyard in northern Germany, the vessel entered service in February of this year from its home port of Miami and accommodates 4,000 passengers. 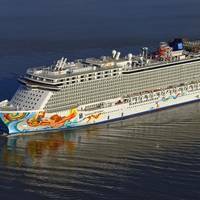 Norwegian Getaway is the sister vessel to Norwegian Breakaway, which was launched last year, and is equipped with the same L-3 SAM Electronics and L-3 Valmarine integrated NACOS Platinum systems. An alliance of shipping interests and a billionaire car dealer launched a newspaper ad on Monday protesting retired English soccer star David Beckham's plans for a soccer arena at the port of Miami, saying it threatens the city's plans to capitalize on the expansion of the Panama Canal. "We cannot jeopardize well-paying jobs, like crane operators, longshore workers, and mechanics, for low-paying stadium jobs, such as concession sales," the Miami Seaport Alliance said in a full-page ad that ran in the Miami Herald and its sister Spanish-language paper, El Nuevo Herald. 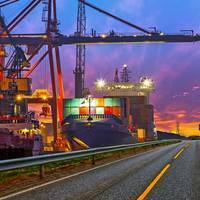 The port of Miami's total debt is set to pass $1 billion after Miami-Dade County commissioners approved a $225 million bond offering on Tuesday to meet existing lending agreements and pay the balance on a nearly finished underground tunnel connecting the island-port to nearby highways. 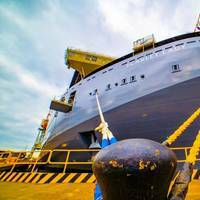 Auditors in March found a potential $1.6 million gap in the port's future payments toward its mounting debt stemming from an incentive to lure a new cruise ship into harbor last year, Deputy Mayor Ed Marquez told commissioners on Tuesday. 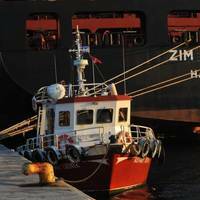 He noted ratings agency Moody's said on Friday the seaport's rating would not be impacted due to healthy reserves and strong revenue. 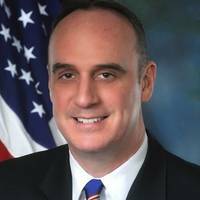 The port has $30 million in reserves, PortMiami Director Juan Kuryla told commissioners. 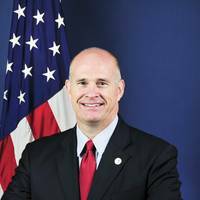 Great Lakes Dredge & Dock Corporation (GLDD), says it has received the payment from the U.S. Army Corps of Engineers - Jacksonville District which will bring the total value of GLDD’s Miami contract up to $174.1 million. There is $31.6 million remaining to be awarded under the current plan of the Corps. This option, which is the first of two options for the project, covers the dredging of Fisherman's Channel and Lummus Island Turning Basin, as well as dredging the adjacent berthing areas. APL said it has brought in the first cargo of Peruvian grapes here, clearing local pest control import requirements through cold treatment technology applied on the fruit during their transit from Paita to Miami. Consigned by Complejo Agroindustrial Beta, a producer of table grapes in Peru, some 1,600 boxes of Thomson seedless grapes arrived at the Port of Miami as part of a six-month long cold treatment pilot program aimed at assessing the feasibility of importing ‘cold-treated’ Peruvian fresh produce into Florida. Import protocols for fruit and vegetables vary across the U.S. states.